The Stop Staples Campaign ended in 2017 with a victorious win for postal workers. See the details of our victory here. The APWU is fighting a secretive deal between the the U.S. Postal Service and Staples that jeopardizes mail service and local post offices – along with thousands of living-wage jobs. After months of stonewalling by the USPS and Staples, in April 2014, the APWU launched a ‘Don’t Buy Staples’ campaign, which was endorsed by the AFL-CIO, the American Federation of Teachers, the National Education Association, AFSCME, SEIU, and many other labor organizations. 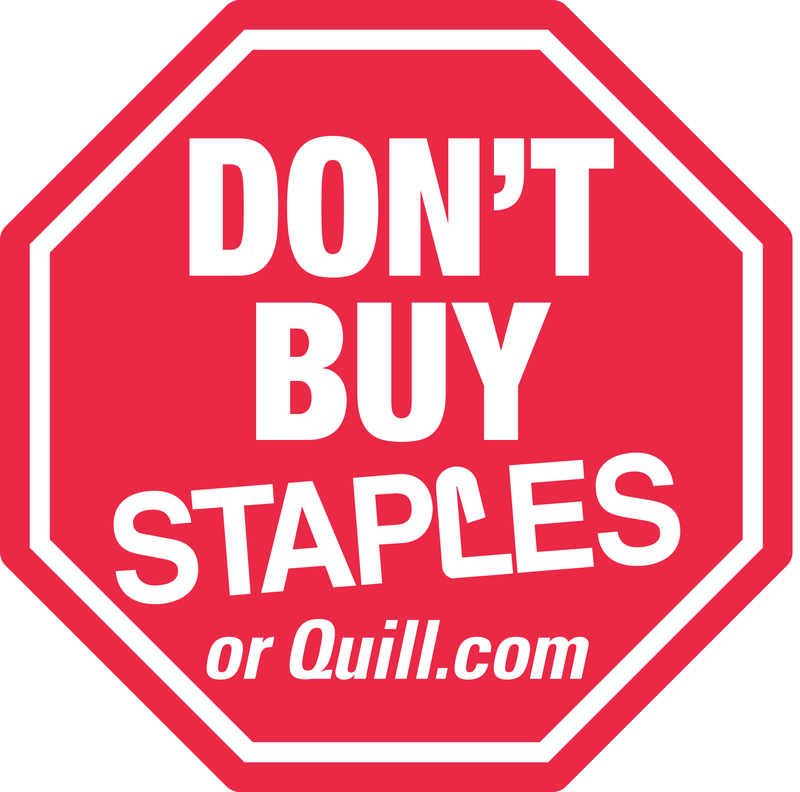 In an effort to derail the ‘Don’t Buy Staples’ movement, in July 2014 the USPS and Staples announced they were ending the trial program, but replacing it with another program that was essentially the same. Soon after, they announced the “new” program would be expanded to all of Staples’ 1,500 U.S. stores. The Staples program is bad for postal customers, who receive less-than top-notch service, and whose letters and packages are unprotected while they sit in Staples stores awaiting pick-up by USPS employees. It threatens the Postal Service as we know it, as postal management closes neighborhood post offices and shortens operating hours. The deal also replaces living-wage jobs that our communities depend on with low-wage jobs that hurt our economy.